It must be a curator’s sweatiest nightmare. Beyond the collection being swiped by thieves, the museum burning to the ground or, of course, your funding being withdrawn, there is always the dread possibility that some malign, clumsy or plain unlucky member of the public might destroy a prize holding. That has happened at the Fitzwilliam Museum in Cambridge. According to witnesses, an unfortunate visitor tripped over his shoelace and fell on to three Qing dynasty vases, shattering them. Duncan Robinson, director of the Fitzwilliam, said: “It was a most unfortunate and regrettable accident but we are glad that the visitor involved was able to leave the museum unharmed. Conservators are evaluating the damage prior to repair work being considered. 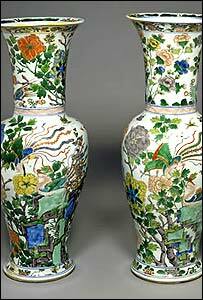 The Chinese vases date from the latter part of the reign of the Kangxi emperor (1662-1722) and are painted in enamels with traces of gilding. The incident happened at lunchtime on Wednesday. A spokeswoman for the museum – which refused to say how much the vases were worth – said: “Conservators will be evaluating the damage in the next couple of days, and the plan is to restore them. A safe workplace environment is a liberty many individuals in the Australian workforce are afforded. Industries ranging from mining and construction,to transport and logistics, heavily rely on the policies and strategies implemented by industry unions and the Government to promote a safe workplace. “Healthy, safe and productive working lives” is Work Safe’s mantra. Alas, the implementation of vigorous regulation and policy is not enough to prevent all workplace injury. Often the smallest and most trivial modifications in a high-risk environment can be responsible for preventing minor and major injuries. These statistics show that over a quarter of all injuries reported are results of slipping or tripping over. In the environment of a construction or mining site, appropriate work gear is a strict requirement. Taking extra safety precautions, particularly simple ones, never goes astray though. Business development manager at Construction Hunter, Tom Scash, has been in the construction and mining industry for the last ten years.Construction Hunter isan online platform that providesjob resources and career solutions for people in Australia’s mining and construction industries. Experience in varying fields of the trade has meant Scash has unfortunately witnessed some workplace injuries. “Working on construction sites often leaves no room for error,” he said. 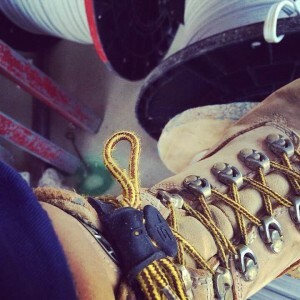 Five years ago while working on a building site, a labourer carrying scaffolding up a flight of metal stairs actually stumbled on his own shoelace. He ended up in hospital with quite serious back injuries as a result,” Scash reported. Keeping up to date with the newest personal protective equipment is crucial in this industry. While untied shoelaces aren’t the only hazard within a high-risk work zone, it goes without saying, even the smallest precautions could literally save a life. There are a lot of things you have to think of when buying kids’ school or running shoes. They must be sturdy enough to survive the often rough demands of games and school life. At times, they must even have kid-friendly designs. Another key factor to consider are shoelaces and keeping them tied for the child’s convenience and protection. Shoes have a lot of uses for kids. 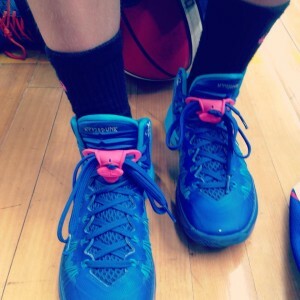 They are protection for young feet. They also allow kids to play without much risk; preventing injury and contact with substances on the ground that may cause them problems. For this reason, it is crucial that they are given shoes that will not wear easily from constant use. You must also make sure to keep their shoelaces tied even through rigorous activity to maximise protection. Shoelaces can be a challenge for children. For younger kids, tying shoelaces is like working on a complicated puzzle. They often have to ask their parents or teachers to tie their shoelaces for them. This can be a problem for two reasons, as you cannot be with your children all the time to retie and it can also be rather embarrassing for them to have to ask someone else to tie their shoe lace for them. If their shoelaces continue to untie, they will have to repeatedly look for adults who can help them. That or they will have to spend the day tripping over their untied laces. If your child is a runner or an athlete, an undone shoelace can become a big risk. It will prevent them from performing at their best on the track or on the field, which may lead to loss and disappointment for them. In other cases, they may even trip on their shoelaces, leading to different kinds of injuries. As such, keeping shoe laces tied is paramount to protecting them from harm and helping them to achieve their goals and concentrate on what is important to them, playing and achieving. Safe Lace is a revolutionary product designed specifically to keep shoelaces securely tied. They are simple to operate and can be used by kids who can or cannot tie their own shoelaces. Children who can tie their own lace just add one step by locking the tab over the bow and knowing that it will stay tied….children who cannot tie their own lace can have their parents tie the lace, lock it in place with Safe Lace and know without a doubt that their child will not have to worry one single time about their lace untying. They are very small and light, so they won’t even know they are there and will not cause any pain or injury to the foot even when kicking a ball. Safe Lace can be used for your children’s school shoes or running shoes. They even come in different colours to ensure that whether your child wants to make a statement and have them stand out with a bright colour or they want them to be unseen and just get the job done there is a Safe Lace colour to suit their choice  This means that even the most visually discerning kids will not mind wearing the Safe Lace and never again have to worry about their laces. When you run a marathon, every second counts. Any delay can cost you your victory and waste the long preparation you went through for that personal best time or in some cases even a podium finish. After eating the right food, training harder than you ever have before, and making sure you have all the right gear to wear, keeping your shoelaces tied securely is one of the 1% things you can do to get that advantage and maybe that extra place over someone who has to stop mid run to retie their lace! Shoes are a runner’s lifeline. They affect your performance on the track and the condition of your feet after a marathon. It is therefore normal that you would invest in getting the highest-quality shoes ensuring that you are running with the best possible shoes for your feet. Shoelaces can be trickier than other shoe parts. Apart from being sturdy enough to endure the demands of your sport, they must also remain tied until you cross the finish line. When shoelaces come undone in the middle of the race, not only do you risk being overtaken while having to stop and retie your laces, you also lose focus and rhythm….not to mention you also put yourself at risk of possible injury. Sure, after years of tying your shoelaces, you must have become a master at it by now. You may even be able to do it within a few seconds—with your eyes closed—without even thinking about it. In a marathon however, you have other runners who have trained just as much as you have to run faster than the average human being. If you have to tie your shoelaces mid race, this may be the difference between achieving your goal and being left behind. So yes, you woke up early every day to run a lot of km’s, perspired through endurance exercises, said no to a craving or two, and outlaid on top quality sports wear just to get your dreams dashed by undone shoelaces! Worse still, you could get injured! As a kid, you have most likely tripped on your undone shoelaces at least once. Now imagine that happening in the middle of a marathon. With how fast you and your fellow runners are moving, tripping on undone shoelaces can lead to anything from scrapes and bruises to broken bones. All of that said, it’s now possible to make that something that you never have to think about again…Safe Lace is a simple but extremely effective product, designed to keep your shoelaces where and how they should be. Safe Lace is small and light so you can wear them easily without even knowing that they are there….until you realise that you haven’t had to retie a lace….ever again! They even come in different colours so they fit in with any shoes you are wearing or you can make them stand out to make a statement! Safe Lace is recommended for kids, industrial workers, athletes and especially runners. With it, you will not ever have to stop to check on or retie your shoelaces. You do not have to worry about injury or losing places or your focus. So if you are looking to enjoy your run and eliminate the frustration and danger from untied shoe laces, make sure to include Safe Lace among your sportswear so you can run with confidence. Safe Lace is Your Advantage! For more information about the product, visit our website. 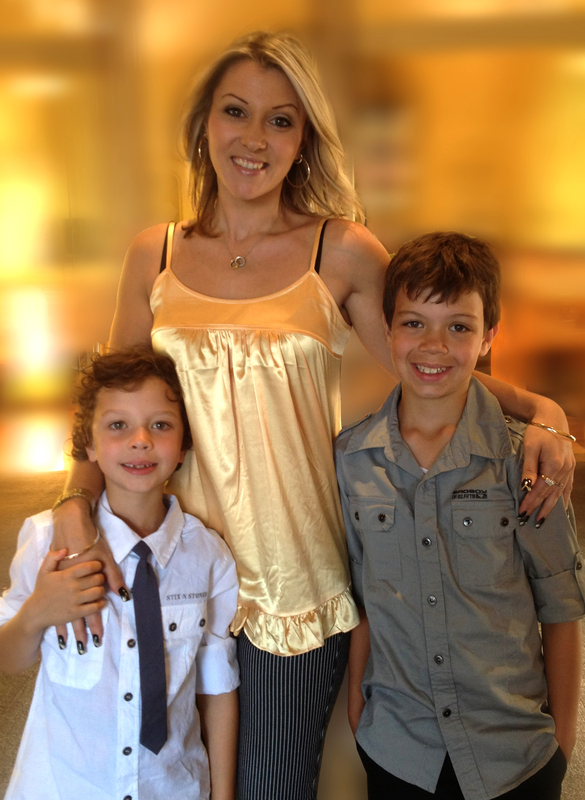 In a suburb near you will find me – Karen Koutsodontis – passionate educator and mum – helping to support children and partner with teachers in a Incursion program that is taking Melbourne by storm. Providing children with a hands-on, fun, interactive cooking workshop – The Travelling Kitchen equips the children of today and the adults of tomorrow with essential healthy food knowledge, basic yet enduring cooking skills and works with classroom teachers to ensure each workshop pops with fun whilst supporting core learning/curriculum needs. The Travelling Kitchen visits primary schools, kindergartens, after-school care programs, Children’s festivals and school holiday programs to help inspire and educate children about healthy eating and the skills to enjoy and make healthy food. Being a food technology teacher for 13 years andmother of two, I noticed how many students arrive in their teens without knowing about basic nutrition and healthy eating practices. They can go from having healthy home-made lunches during primary years to buying processed, canteen food daily in secondary school. There is a huge shift in the eating practices of children to teens, so we need to start earlier, teaching healthy habits that will follow them through the years. In the context of Australia’s rising obesity rates, the healthy cooking workshops offered by The Travelling Kitchencould not have come at a better time. Australia has among the highest rates of adult obesity in the world according to a 2013 OECD report ‘Health at a Glance’ (at 28.3% of the population aged 15 and over) and, more alarmingly, 1 in 4 Australian children are overweight or obese. We can’t just wait for Government to invest in strategies to reverse these rates, nor on schools or families alone – we need to all work together to intervene, educate and inspire healthy thinking and practice as early as possible. Learning to cook is a life-long skill and learning to eat healthy is knowledge that is required to live a long, fulfilling life. These skills and habits can be taught, they ought to be taught given the alarming rates of obesity in this country and children simply love and are good at cooking, creating and experimenting – so it’s a match that is meant to be! The earlier and more personal the educating – the better- that’s where TK comes in – teaching cooking skills to the young children of Australia in a direct, engaging, fun, sensory-rich and memorable way. The Travelling Kitchen has visited more than 50 different locations this year, cooking with more than 400 students, and most of them agree one of The Travelling Kitchen’s best recipes’ is TK RICE PAPER ROLLS TAKE HOME – so quick, easy, fresh and nutritious, able to be made with an array of different fillings! Have a go at it today! Are you a tradie, a miner, a construction worker, or know someone who does this for a living? If you really care for their safety, then you should let them know about Safe Lace! The very nature of manufacturing plants and industrial sites actually make them easy prey to workplace accidents and injuries. And we’re not just talking about major ones like falling debris, scaffolding falling down, or machine malfunctions. Even simple everyday safety precautions you thought as being mundane should not be taken lightly. Just like securing and keeping your shoelaces tied! Just imagine this scenario: you are on the second floor of a metal scaffold, carrying a heavy load on a wheelbarrow. You are so preoccupied, focussed on doing your best, and delivering the load to where it should be, that you do not notice your trusty workboots have become untied. You keep walking and walking, and then suddenly, you trip on your own untied shoelaces. You stumble and almost fall from the second floor, and the load you are carrying drops to the ground, maybe even hitting something or someone. Yep, talk about disaster! But you need not worry about that anymore! Small and simple investments can actually go a long way when you consider Safe Lace. 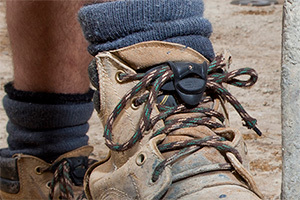 With Safe Lace, your workboot laces are sure to stay tied tight for the entire day. It is made from durable silicone so it’s strong and tough, and will keep your laces safe and secure! Take it from one of our satisfied customers – Oliver, an electrician from Adelaide who has been using Safe Lace on different job sites, and ever since he added this to his lace up boots, all he needs to tie is a single knot and he knows its not going to come undone for the whole day! Such small addition to his PPE gear but the outcome is 365 days of safety! And who wouldn’t want that? The good news here is, accidents and injuries can actually be avoided. You just need to arm yourselves with the right safety rules and precautions, and the right PPE. It’s just like the saying, Prevention is better than cure. Carelessness and ignorance are the worst defence against accidents and injuries. So get Safe Lace on your workboots and keep safe onsite! The Safe Lace Revolution has joined the Blogosphere! she wanted them to have fun, one of her deepest concerns was the thought of them tripping or having an accident simply because their shoelaces had become untied. And what other mum wouldn’t feel the same right? Being disappointed with her online search looking for a solution to this problem, and without having to replace the entire shoelace, it led to her ‘aha’ moment: Knowing this was a problem that so many children and parents struggled with and believing in herself that she could be the one to fix it! So this brilliant idea fed her drive and passion towards finding a convenient and easy solution to untied laces. Realising it would not only be of great help to her, but to all mothers as well. It actually took her four years of perseverance and hard work to finally complete and launch the product now known as Safe Lace. And as Loretta expected, the product’s reception has been warmly received, but what Loretta could not have realised is the vast audience that this product is now help. So from thinking about the welfare of her highly active and dynamic children and their shoelace woes, this Melbourne-based mum has taken the world by storm with her Safe Lace product and brought it into the sports and industrial markets as well. The beauty of Safe Lace is that it is not solely for little kids – it is applicable to everyone! Everyone wears shoes with shoelaces, right? And everyone, anytime, anywhere can experience shoelaces coming untied. It is versatile, too! It even comes with a wide range of colours and styles to fit not just the type of shoe, but to fit different personalities as well. Safe and stylish! That’s Safe Lace! We’re so glad that you have dropped by to read our new blog! We are excited that Safe Lace has an avenue to reach you with our latest news, updates, promos and other information about our product. We will also be inviting guest bloggers in the fields of Education, Sport and the Industrial sector to share with you their stories and useful information. So don’t forget to leave your comments, feedback, suggestions and reactions, as they are so valuable to us! Stay Safe always with Safe Lace!